Foxglove Summer is the fifth book in the popular PC Peter Grant series and as such is probably best enjoyed after having read the previous instalments – if only because they are every bit as engrossing and entertaining as this volume. That said, it would make a good introduction to a newcomer to the series as it is a bit of a sidestep from the main arc plot that spans the previous volumes and does more or less stand alone (aside a few tantalising titbits which are drip-fed into the story at exactly the right moments to keep long term fans engaged). The central conceit of the series – a covert department of the Metropolitan Police dealing with and practicing the occult – is such a strong one that it continues to delight just as much in this volume. However there are important differences here that give the novel a slightly different tone from its predecessors. Peter is in unfamiliar territory, separated from his normal back up, no longer having the resources of his colleagues or his boss Nightingale back at The Forge to call upon. This time he is out on his own (aside from the unreliable presence of river goddess Beverley Brook); he is the expert called in by bemused locals who, while they may be suspicious of his big city and occult ways, know that when it comes down to it he is the only one who really has an inkling of what’s going on. 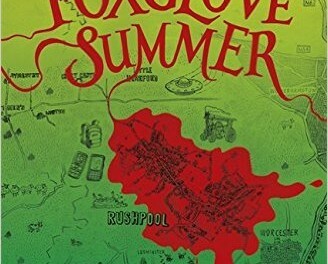 The narrative is compelling, evoking the precise feeling of a long hot summer in the British countryside, and is written in a mesmerising “just one more chapter before bed” manner, peppered with pleasing cultural and genre references that fit in flawlessly, convincing the reader that the author is on their wavelength. It also provides a biting commentary on the way such kidnappings are dealt with by the media in the real world. The police procedures very realistically depicted providing a perfect contrast to the otherworldly goings on and providing many moments of amusing juxtaposition when the two worlds clash. The supernatural elements themselves are described in such a way as to seem credible even though – or perhaps because – the author gives them all a fresh spin (readers will probably never look at unicorns in quite the same way again). 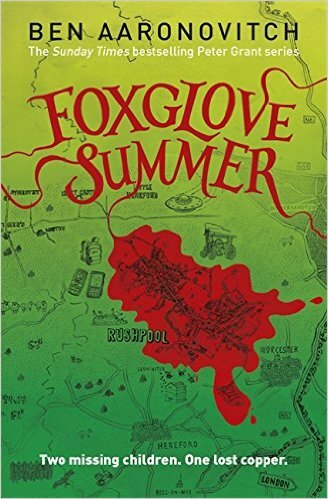 All in all Foxglove Summer is another wonderful chapter in the story of PC Peter Grant. It also provides glimpses and drops hints of the on-going story to come, which will undoubtedly make the reader impatient for the next book in the series.